Low-Carb Sheet Pan Meals with Asparagus are perfect if you’re looking for something easy to try over the weekend, and this week I’ve updated this post to give you even more options! Use the Diet-Type Index to find more low-carb and gluten-free recipes like these. 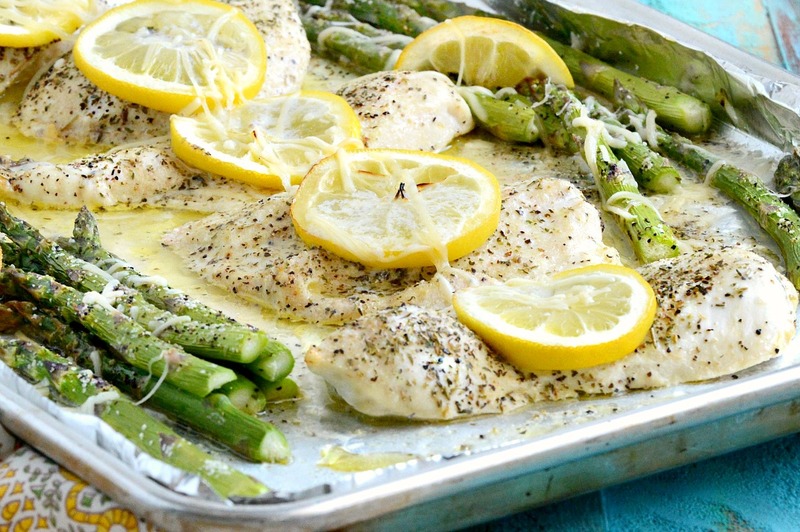 Click here to PIN Low-Carb Sheet Pan Meals with Asparagus! If you’re ready for an easy dinner idea for the weekend, I’ve got you covered with these Low-Carb Sheet Pan Meals with Asparagus! 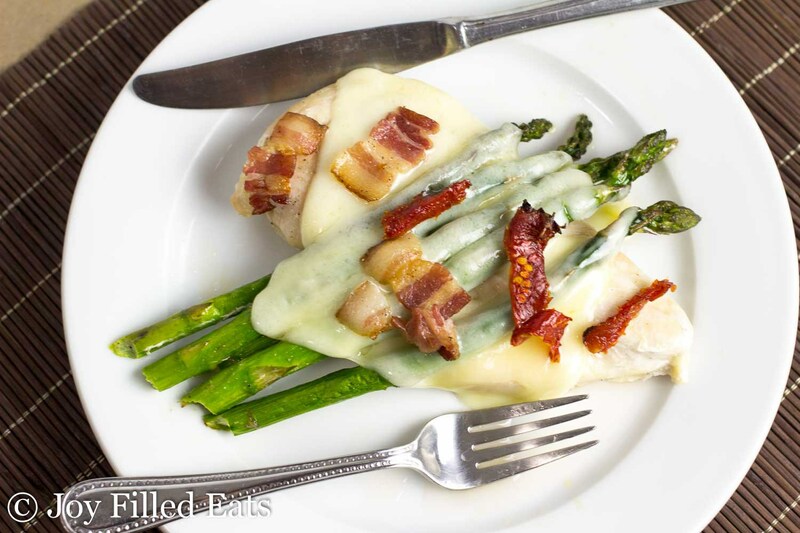 A few weeks ago I made Chicken and Asparagus with Three Cheeses and ever since then I’ve had asparagus on the brain. I think dinners with asparagus are perfect for this time of year, and since I also love Roasted Asparagus, it seems obvious that I’d I love asparagus in Sheet Pan Meals, those easy and delicious dinners where the entire meal is cooked on one sheet pan. And I think any of these sheet pan meals with asparagus are a perfect dinner for this time of year when you never know how the weather will behave! 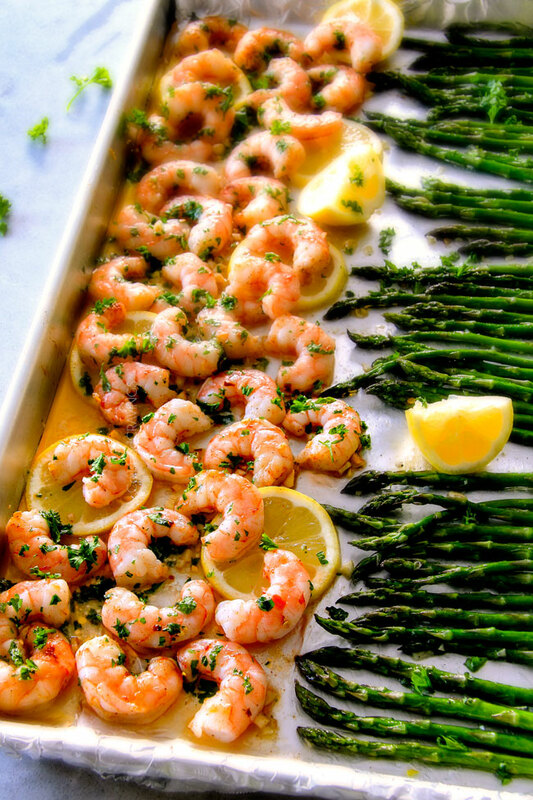 This collection has sheet pan meals with salmon, cod, shrimp, chicken, or steak combined with Asparagus, and I think they all look amazing. Hopefully there will be enough good ideas here to provide you with easy dinner ideas from now until it gets too hot to cook in the oven; enjoy! All photos are copyrighted to the blog that posted the recipe; just click the recipe title under any photo to see the entire recipe on the original blog. 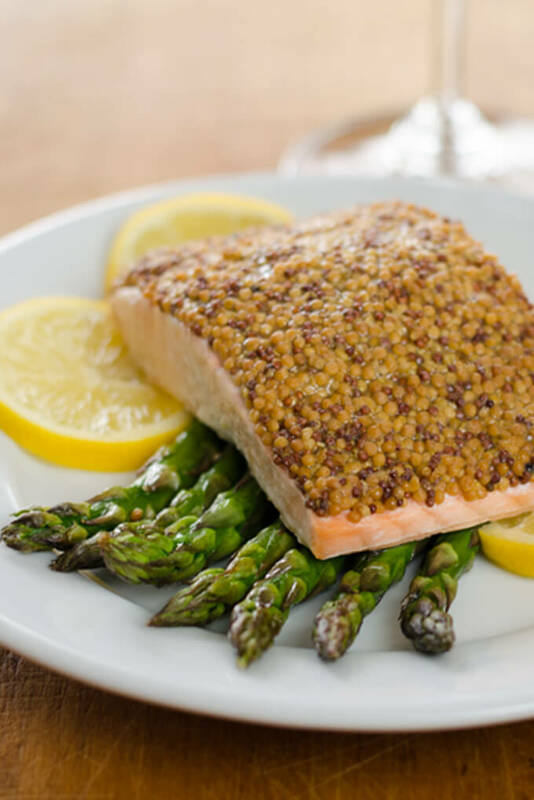 Roasted Lemon Salmon and Asparagus Sheet Pan Meal from Kalyn’s Kitchen. 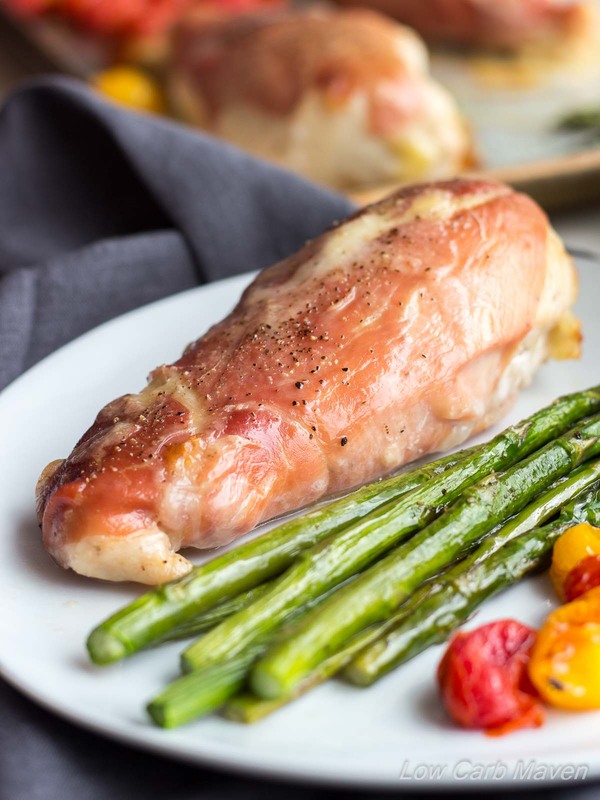 Easy Chicken and Asparagus Sheet Pan Meal from Joy Filled Eats. Sheet Pan Flank Steak with Onions and Asparagus from Physical Kitchness. Roasted Salmon and Asparagus Salad with Lemon Vinaigrette from Kalyn’s Kitchen. —Use Recipe Round-Ups to see more low-carb round-ups like this one. I am with you on the lemon juice! My pleasure; it looks so delicious! 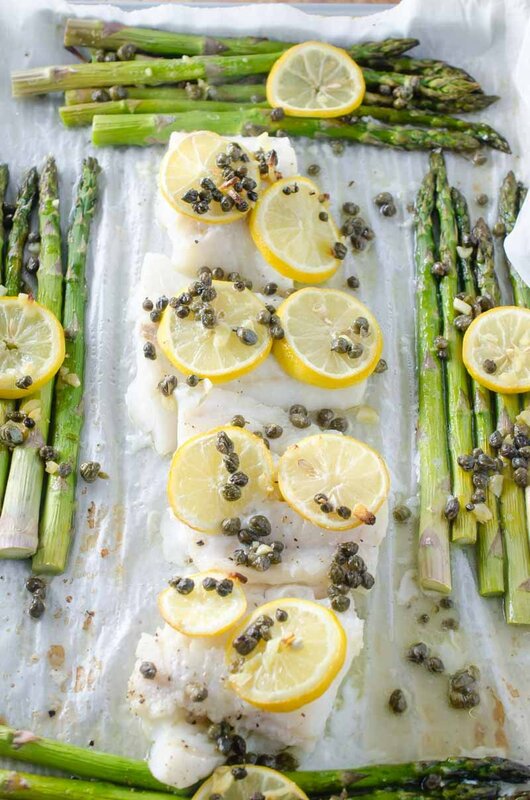 Sheet pan dinners are so easy, especially with fish and shellfish. Great solution to weeknight dinner. Thanks Lydia; so many of these looked good to me! This is just what I am looking for next week. I need to prepare 5 meals and these are just the ticket for easy one pan cooking. Thanks, Kalyn. My pleasure Wanda; so glad you like it!